Bottom line: While PC owners have the unbeatable combination of a keyboard and mouse, which offer a huge advantage in FPS and RTS games, there are some titles where a controller is essential. For those who prefer using the Xbox One’s pads with their computer, or own a Microsoft console, a pair of new products are arriving next month, one of which is the translucent Phantom Black Special Edition. Much like Sony’s special edition PS4 Pro and controller, the translucent body lets players see the Phantom Black Special Edition’s internals. Xbox Wire describes the design as fading “from a high-tech translucent matte black" at the top to a "metallic champagne gold." The controller features Bluetooth support, letting you play games wirelessly on Windows 10 PCs and tablets, along with a 3.5mm headphone jack. It also comes with a champagne gold D-pad and textured rear grips. The Phantom Black Special Edition will be available worldwide on September 11 for $69.99 and can be preordered now from Microsoft’s store. 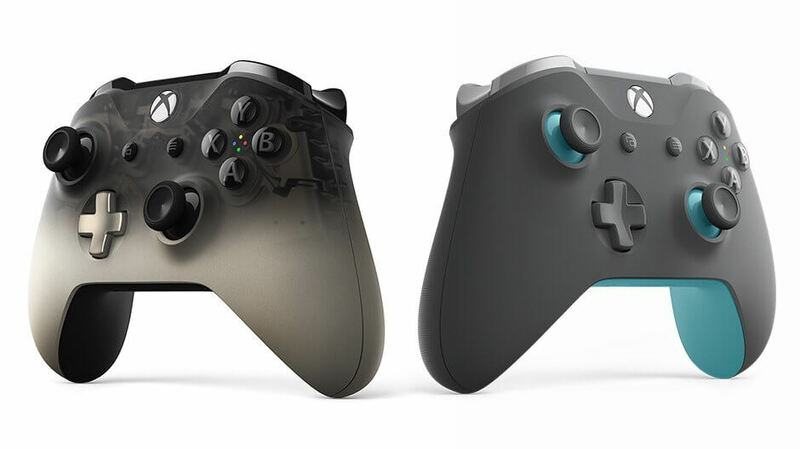 The second game pad is the Xbox Wireless Controller – Grey/Blue. While not as fancy as the translucent version, it does feature a sleek grey design with blue accents. It will cost $64.99 when launched in the U.S. and Canada on September 25, with the worldwide release set for October 9. The controller can also be preordered from Microsoft’s store. In some markets, both controllers come with a 14-day trial for Xbox Live Gold and Xbox Game Pass, which can be used with Windows 10 devices.